It’s been around a year since we first told you just how absurdly funny Quentin Dupieux‘s Rubber follow-up Wrong is. After premiering at last year’s Sundance Film Festival (our review here), we patiently waited for release date news after it got acquired by Drafthouse Films and finally, after nearly twelve months, we’ve got a theatrical poster that lets us know when it will be available. 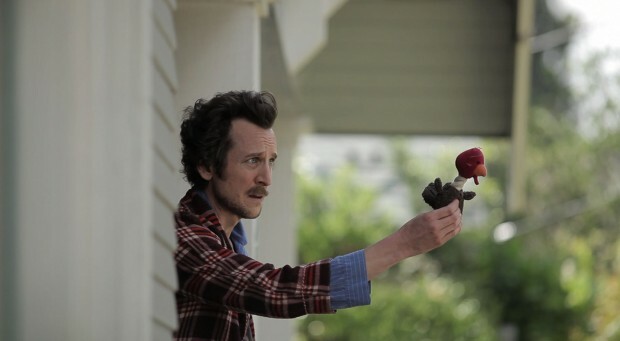 Premiering over at io9, it features our lead Jack Plotnick, complete with his brain opened, styled like a dog. If you’ve seen Rubber, then you know this is the perfect design for Dupieux’s sense of humor and with a cast including Eastbound & Down‘s Steve Little and character actor extraordinaire William Fichtner, one can see this on VOD everywhere starting February 1st. With a trailer likely soon to follow, check out the poster below. Dolph Springer (Reno 911’s Jack Plotnick) awakens one morning to find he has lost the sole love of his life – his dog, Paul. Desperate to reunite with his best friend and to set things right, Dolph embarks on a journey which spirals into the realm of the absurd. On his quest, he drastically alters the lives of several severely bizarro characters, including a promiscuous pizza delivery girl (Entourage’s Alexis Dziena), a mentally unstable, jogging-addicted neighbor, an opportunistic French-Mexican gardener, an eccentric pet detective (Steve Little of HBO’s Eastbound And Down) and most mysterious of all, an enigmatic pony-tailed guru, Master Chang (William Fichtner) who imparts his teachings to Dolph on how to metaphysically reconnect with his pet. 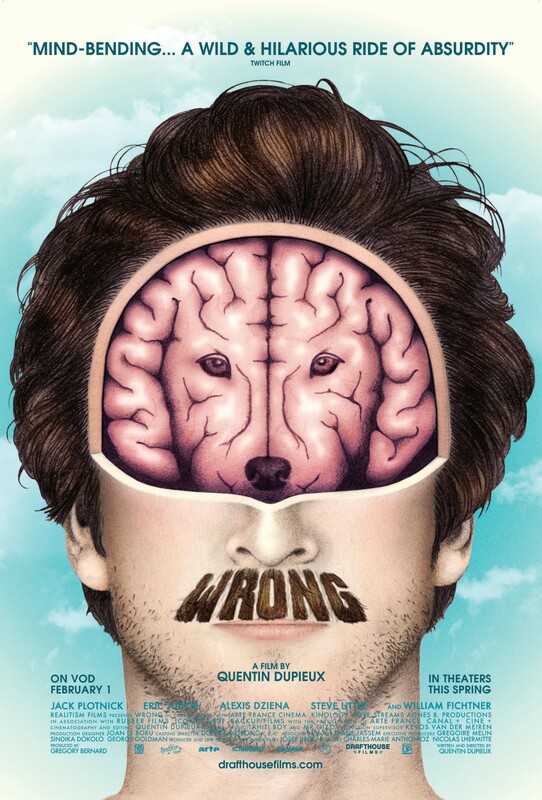 From fearless cinematic surrealist Quentin Dupieux, the director behind the head-exploding Rubber, Wrong is a wholly original and hilariously hallucinatory universe all its own. Wrong hits VOD on February 1st with a theatrical debut soon to follow.